It’s so lovely to be able to host the warm and generous Maureen McQuerry today. Once upon a time, when I was a newbie writer at my first conference, a kind smile from across a room helped me feel at ease. Maureen and I ended up chatting, and I didn’t feel like such a fish out of water after that. 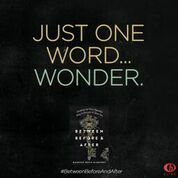 As a fellow writer of historical fiction, I am especially pleased to celebrate her newest novel, Between Before and After (Blink/HarperCollins) and to give you this opportunity to learn a little more about Maureen and her work. 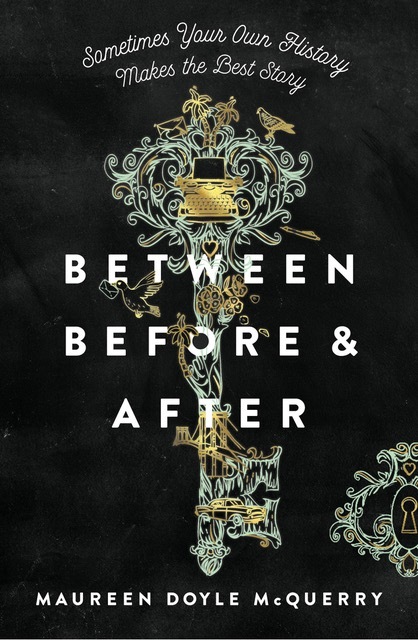 Between Before and After (Blink/HarperCollins) is the manuscript I thought would never be published. It evolved through many drafts over ten years, but the story had been growing inside me much longer than that. 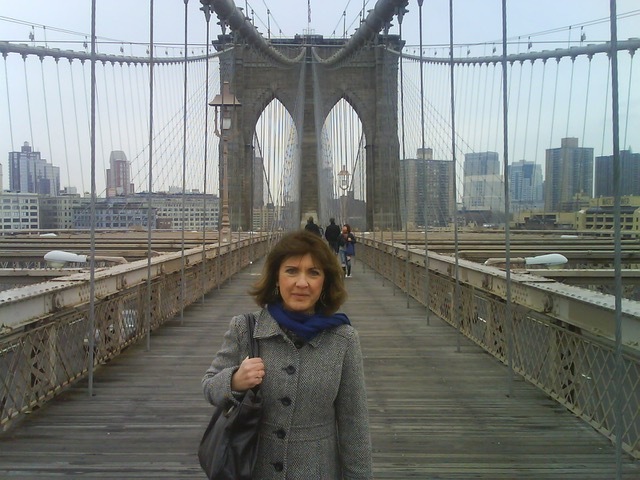 At its core, it’s my own family’s story, of Irish immigrants, although events and genders were changed. 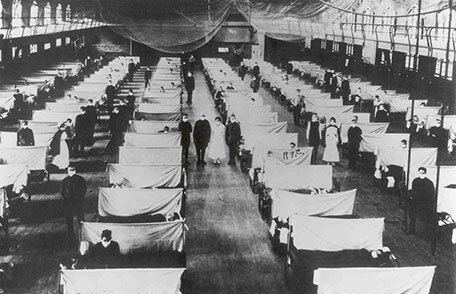 The seeds were planted with stories my father told about becoming a flu orphan in 1919 New York when 600,000 Americans died in the Spanish flu. His mother was one of them, and he was left to fend for himself on the streets of Brooklyn. I grew up knowing my family had secrets, and like my character Molly, I was determined to discover them. Writing Between Before and After was part of that journey. Although it’s historical fiction, a two generation mother-daughter story, BBA is also a survival story as many good coming of age stories are. Two teenage girls, one in 1919 Brooklyn, New York , and one in 1955, San Jose, California, struggle to save their families. The two stories come together in one critical moment, revealing a family secret that will change their future. In a compelling story, the stakes are always death. That doesn’t always mean a physical death. It may be an emotional death, a death of self-confidence or self-esteem, a death of a dream or the death of a relationship. It must require everything the protagonist has to survive, and losing the goal must feel like a death to the protagonist. That’s why readers are invested, why we care. Survival has us riveted. We turn the pages to see how others navigate their way through the woods of the world. A retelling of Hansel & Gretel winds between the chapters. As I was writing my two timelines, this fairytale insisted on inclusion. Fairytales are the keepers of archetypal truth. H &G is the ultimate story of abandonment, resilience and redemption. The brother and sister left a trail of breadcrumbs and when the birds ate them, they dropped small white stones that shone like pieces of the moon. They stood by each other, faced down the witch, and eventually found home. When I look for a common thread in my books I find this: I write books about surviving difficult things, about finding wonder and your way through the woods, about finding hope on the journey and eventually finding home. And there’s one more common thread, all of my books to date, include a library. The lovely cover, with its ornate skeleton key, includes clues to some of the elements in the story: homing pigeons, a 1955 Smith-Corona typewriter, the Brooklyn Bridge and a 1955 Chevy Bel Air. Maureen was the McAuliffe Fellow for WA State in 2000. 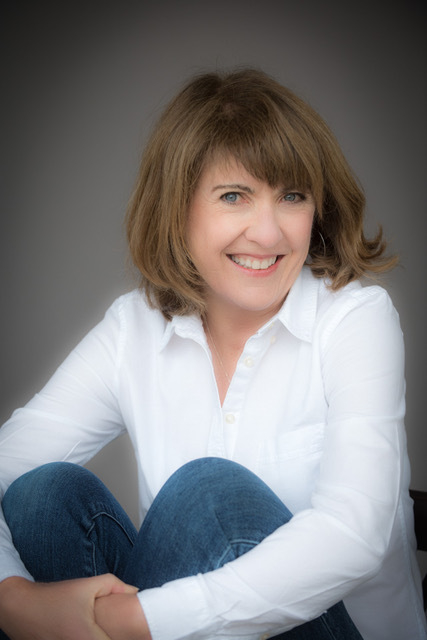 She is a poet, novelist and teacher, and enjoys presenting to students and adults. Maureen works with teachers to tailor workshops to specific writing goals. She is also a frequent presenter at writing conferences. To learn more about her visit her website. Sounds intriguing and the cover is clever. Congratulations for sticking it out and getting it published. Thanks, Natasha! It ties so closely to my family story and that of many Irish immigrants that it’s very close to my heart!